Platelet-mediated thrombosis is a major pathophysiological mechanism that underlies acute coronary syndromes, and therefore, antiplatelet therapy is an important foundation in the treatment and prevention of recurrence of these syndromes. Nearly 30 years ago, aspirin was the first agent to show a benefit for acute coronary syndromes and is still a key therapeutic agent. The landmark CURE trial showed that the addition of a P2Y12 antagonist, clopidogrel, to aspirin was beneficial in the treatment of acute coronary syndromes. 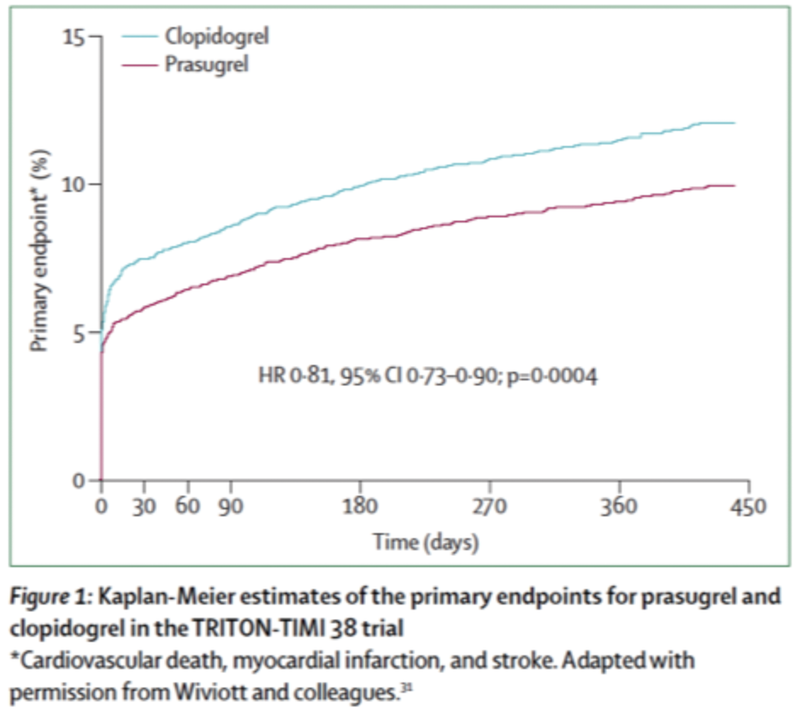 Despite substantial benefits with clopidogrel, limitations include the slow speed of onset, variable response, and a modest antiplatelet effect. Next-generation P2Y12 antagonists, prasugrel and ticagrelor, overcome these limitations and have been shown, in large-scale clinical trials for acute coronary syndromes, to reduce ischaemic events more than clopidogrel, at the expense of an increase in bleeding. Additional agents that target platelets by alternate mechanisms, including the protease-activated receptor-1 antagonist vorapaxar, have shown ischaemic benefit. These large-scale trials inform treatment decisions that need to balance ischaemic benefit and bleeding risk in patients with acute coronary syndromes. This Series paper describes major trial results, implications for clinical practice, and summarises continuing controversy.